I’m excited to be joking the Fit4Mom team in Brookfield/Tosa! I will be teaching stroller workouts! 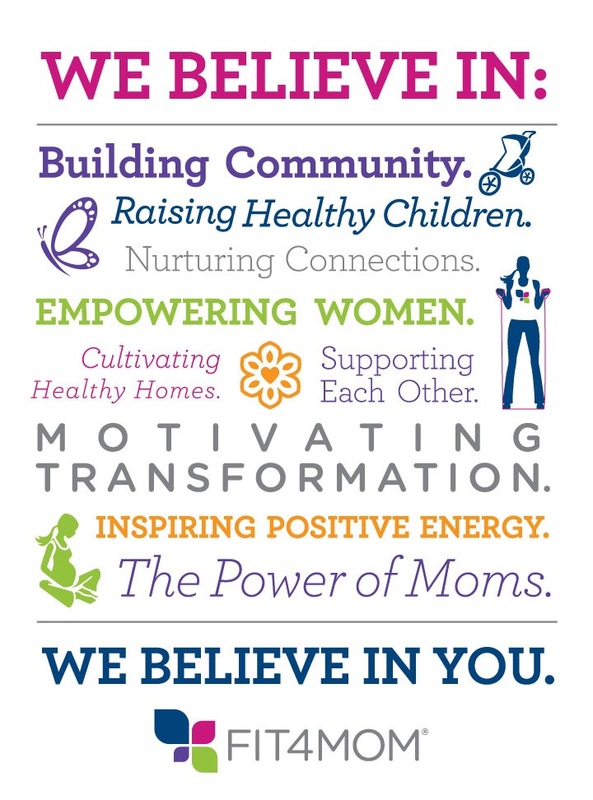 Please visit http://brookfield.fit4mom.com/ for class schedules! I wanted to share this with my followers today because I thought it was important. I liked this article because I can really relate to it. The struggle of trying to clean the house, cook meals, be a loving wife, spend time with the kids, get to the gym, work, etc. is REAL. I wanted to add to this something that came up today… waking up at 5:30am is always my goal, but sometimes it doesn’t work out. For example, on Saturday night my daughter woke up at 10:30p with a stomach bug. Poor thing was up all night and of course my husband and I were up with her. That morning I didn’t wake up at 5:30a (to my defense it was the weekend and I usually don’t do 5:30a on the weekend) but I want to prove my point which I will get to after my next example. Last night, I came down with the dreaded stomach bug and was up all night taking care of myself. Needless to say, I did not wake up at 5:30a this morning. I woke up at 8am because my husband had to go out of town for work and I had to get my son ready for school. I am getting through the day, it’s a struggle, but I will make it! My point is that we all have goals and we strive to reach them, but sometimes we have to veer off course a bit. I am Not perfect, no one is, and these are great examples of that! I post a lot of motivational things, because I like to motivate other people, but don’t get upset if you’re not quite there yet with your goals. Keep pushing and they will come! If you can look at yourself at the end of the day and say, “I am doing the best I can,” you will have no regrets. I am excited to begin training at the Southwest YMCA located in Greenfield, WI in March. Visit my Personal Training Tab for more info! Here is a picture of the stroller workout I taught in Michigan. I am in the process of getting a stroller workout class started here in Wisconsin, so stay tuned for more info! Please visit http://www.naturesplayhouse.com/class-schedule/ to sign up! This was after my stadium workout last night… boy did i need that after of weekend of eating and drinking! Balance is restored…. Thank you to all who came – it was a success and a good workout ! Stay tuned for future dates ! I’m hosting a FREE baby wearing workout in the park this Saturday the 21st in Berkley! Please bring a yoga mat or towel if you don’t have a mat. Also, light dumbbells or water bottles/canned goods (to use as dumbbells for arm exercises). If you don’t have those, don’t worry! You can just use body weight! I love training mom’s because I can relate, having two young children myself. A little about me: I am currently working in the Human Resources Field 4 days per week and I train on the side. I was a division I athlete in college and was coached by some of the best trainers in the country and I used to be a full time trainer at Gold’s Gym, but have since moved toward a professional business career. However, I miss the gym and training because that is my passion, so I have decided to take on a select few clients and run a Workout in the Park series this summer. My training style is simple: get the most results in the shortest amount of time. Because, let’s face it, as mother’s we are pulled in every direction and we simply don’t have hours to spend at the gym. I like High Intensity workouts lasting no more than 40 minutes. I have a full gym in my basement that I train out of, but I like to take full advantage of the nice weather in the summer, so I would plan on taking a lot of our workouts outdoors as well. Workout in the Park Article Published!!! Baby Wearing classes at Nature’s Playhouse! Joan Sobczak on I’m back! !